August was an interesting reading month for me. Thought I didn't start things off very well, everything got a lot better from there. I even managed to finish the entirely of The Lord of the Rings, which has been my goal ever since I saw the first movie back in 2001. A fantasy novel inspired by fairy tales and Eastern European folklore? A girl sent to serve a powerful wizard referred to as "The Dragon"? Sign me up! I was incredibly excited to read this novel, and the premise was very promising. Imagine my disappointment when I got greeted with the traditional plain-but-special-snowflake main character and a handful of Young Adult book tropes! Frustrating characters, convenient plot points, and a girl who goes from clueless to heroine in no time—it's all there. Sadly, the writing style wasn't doing much for me either. The only thing outside of the folklore and the premise that kept me going was the mysterious and murderous evil forest that was part of the story. Everything else made me dread picking this book up. I actually started reading Uprooted back in July, and though I wasn't really getting along with it, I had full intentions of powering through this novel—I've heard praise for it from so many people. However, a bit after the halfway point I decided that enough is enough, I just couldn't imagine getting through 200 more pages of this (and I rarely abandon books). There is no way I would recommend the novel to anyone, and especially not to fantasy readers. After my disastrous experience with Uprooted I wanted to read something I knew I would enjoy, so I decided to re-visit a classic I remembered liking in school. This is a short story about a young Russian woman, Katerina. She's married to an older man, who temporarily goes away, and Katerina decides to flirt with another man, out of boredom. Now, if you think this is some typical melodrama—no, it’s not. This escalates pretty quickly into a brutal story of passion, and crime. I don’t want to ruin it, but obviously, since the title refers to Lady Macbeth—you can imagine that Katerina is a not your damsel in distress type of character. This short story is excellent, and I highly recommend it, if you can find it. I loved it even more than I did when I read it years ago, and it easily got me off the path to a reading slump I was headed towards after Uprooted. Despite having seen the Hitchcock classic, I really wanted to see what the original story is like, and I was not disappointed. 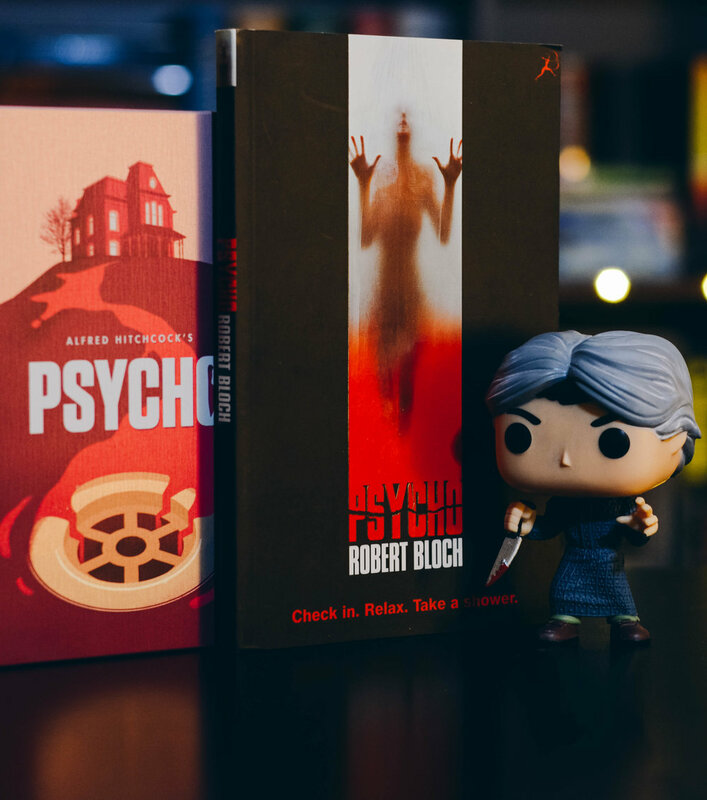 Part horror, part psychological thriller, Psycho is a page-turner I just couldn't put down. If you've seen the film adaptation, I have to warn you that the characters are definitely more likable in the movie, but the book makes up for that by exploring the relationship between Norman Bates and his mother much more. The novel also feel a bit more sinister, and being inside Norman's head can be quite disturbing. It occasionally feels just a little dated, but that mostly adds to the atmosphere of the story. My only complaint is that I really wished the book was longer. I definitely recommend reading it, whether you've seen the movie or not. I don't think I need to tell you that this is an epic work of fantasy, and a must-read for any fan of the genre. I also don't think I need to tell about the mastery of Tolkien's writing and world-building. Of course, I was bound to love this—I already knew I loved the story after seeing the movies countless times, so reading The Lord of the Rings was about digging deeper into it for me, and imagining the characters the way they were in the movies made this even more fun. I will say that most of the things that were left out of the movie trilogy were left out for a reason, and I agree with the changes that were made, except for the ending. Initially, I was a bit thrown off by the amount of pages I had left after the seemingly main event happened, but the way Tolkien wrapped up the story was absolutely perfect.